First year of the monthly Halley web diary (now an established feature), written by Dr Lil Ng. First year that three women wintered. The wintering team of 2000 at the Halley bar, also known as the Hard Ice Cafe. In front of bar, left to right: Neil, Lil, Cat, Ricky, Dan, Gary, Jamie, Erny. Behind bar, left to right: Steve, Mark, Andy, Alex, Dave, Rich, Pat, Simon. 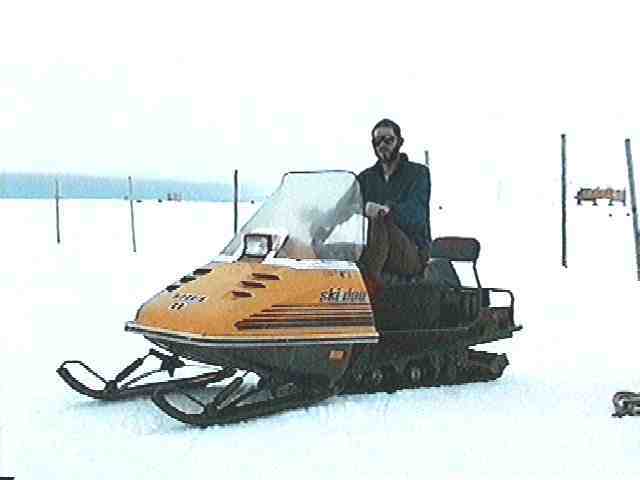 "Ernest Shackleton" on the ice edge not far from Halley Base during February 2000.